ANTICA is a symbol for Antinori California and expresses in Italian our family's passion for winemaking passed along 26 generations. 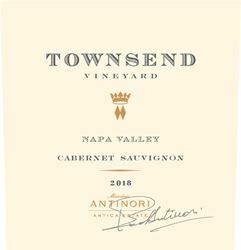 The Antinori Family history is a narrative about devotion to winemaking that is woven through six centuries and stretches from the family's lengendary vineyards in Tuscany to our newest estate in Califorinia. Antica Napa Valley is a breathtaking estate set high in the eastern mountains of the Napa Valley. Located in the remote Atlas Peak District, the 550-acre estate produces only small lots of wines, a testament to the discipline and care of the Antinori Family. Its hilly terrain, rocky soils, high elevations and beautiful landscape create above all an estate ideal for winegrowing. It is the Antinori's belief that their estate's intrinsic "DNA" will produce wines of great personality and style. Very quiet and intimate experience where one can learn about the wines of Antica Napa Valley while overlooking the estate, enjoy a walk in the caves, and learn more about the only Italian wine-producing Family that owns a winery in Napa--The Antinori Family. To join the wine club, visit www.anticanapavalley.com or call 707-257-8700.